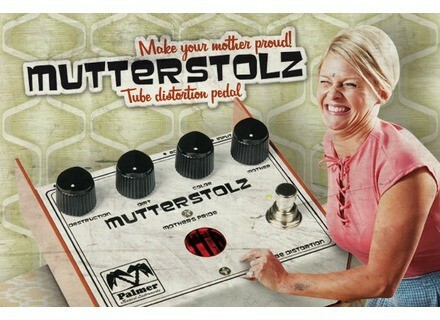 Mutterstolz, Distortion from Palmer in the Root Effect series. Palmer will attend Musikmesse in Frankfurt next week where they will introduce their new Mutterstolz distortion, overdrive and boost pedal for guitar. 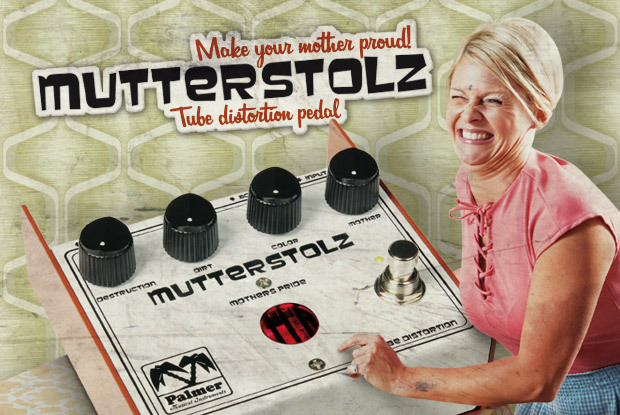 Mutterstolz ("proud mother" in english) might not please you dear mother's ears, for it combines overdrive and distortion effects to a booster, and feature an ECC83 tube. The pedal offers Destruction and Mother knobs for adjusting the distortion amount and level, while Colour will add warmth or bite to the sound, Dirt will take care of harmonics and Sustain will refine the distortion effect. The pedal circuit is True Bypass and requires a 12V power (adapter is included). Mutterstolz retails for 128€. You'll find more information at www.palmer-germany.com. Mod Kits DIY launches prewired guitar kits Mod Kits DIY introduces a new line of prewired electronic kits for guitar called MOD Prewired Assemblies. Special offer at Two Notes Two Notes Engineering starts celebrating Musikmesse with a special offer on the Torpedo CAB through April 13th. Friedman SS100 Steve Stevens amplifier Steve Stevens will accompany his new Knaggs guitar with the new Friedman Amplification Signature head amplifier.